Civilization VI is a turn-based strategy game in which you attempt to build an empire to stand the test of time. Originally created by legendary game designer Sid Meier, Civilization is a turn-based strategy game in which you attempt to build an empire to stand the test of time. Become Ruler of the World by establishing and leading a civilization from the Stone Age to the Information Age. Wage war, conduct diplomacy, advance your culture, and go head-to-head with history’s greatest leaders as you attempt to build the greatest civilization the world has ever known. Civilization VI offers new ways to interact with your world, expand your empire across the map, advance your culture, and compete against history’s greatest leaders to build a civilization that will stand the test of time. Play as one of 20 historical leaders including Roosevelt (America) and Victoria (England). 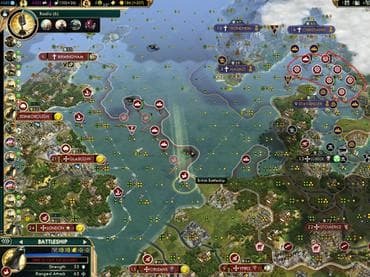 Если у Вас есть вопросы, связанные с игрой Civilization VI пожалуйста используйте эту форму для связи с нами.